Gabe Swanson is a Texas cattle baron riches-to-rags story. As the only son of the town's most prominent family, it was a huge blow when his father lost the family fortune in a Ponzi scheme. Now, Gabe is land rich and cash poor. But he has his son and family is all that matters. I bought this book when I received the next in the series to review since I don't like reading a series out of order and I'm so glad that I did! 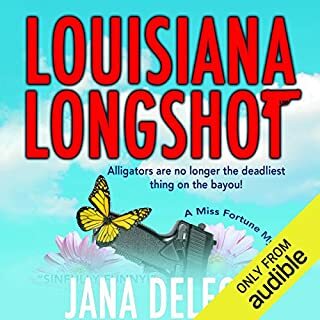 Narration - Pam Daugherty - Just perfection! 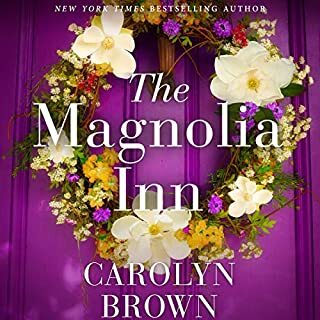 She has just the right amount of a southern lilt, so perfect for Betts, full of emotion, great humorous timing and her mama Cherie was hilarious! It is whispersync available, so I just pulled up my Kindle version to double check the spelling for Cherie and as such, had to read around a bit to find it and just as I read several sections in my own head, I have to say that her performance really enhances the enjoyment of this book. Super! I can't say enough about this story and these characters. Maybe it's the whole high school sweet hearts, the second chance at love, the mirroring of the life events with the teens story line, I don't know, but I am just sitting here kinda bummed that it's over and really wanting to just start right in and listen to this again. There are parts that become a little typical of a romance and you think things are going to happen a certain way, but this has a few fresh twists and turns in how things play out. I chuckled, I swooned, I fanned myself and I cried. This is a romance at its best! Where does Place Your Betts rank among all the audiobooks you’ve listened to so far? This book ranks at the top amount audiobooks that I have listened too. I love the author and loved the narrator. Pam Dougherty was perfect for this book. I don't think I can pick a favorite character, I love them all. I love her southern charm, it was perfect for this book. This is a wonderful book, I love this author and I have read everyone of her books. The narrator Pam did a wonderful job. I highly recommend this book! A decent romance with too much plot. The list goes on and on. However, if you can put this aside and try not to think about it, it's a decent story about two flames coming back together. Although, the steamy scenes are not all that steamy and put me off more than once. I must say that I'm falling in love with Pam Dougherty's style. She definitely puts the Southern charm into every book she reads and she's got the sarcastic comedy down. In fact, she was the reason I picked this book up in the first place. I would recommend listening to everything she narrates. 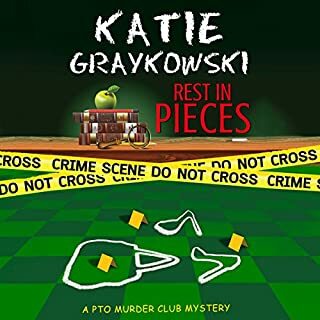 I love this audiobook by Katie Graykowski. 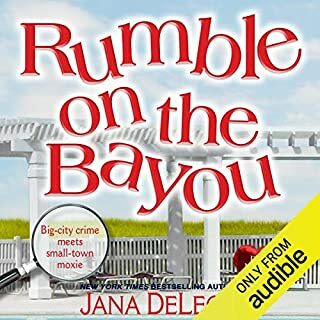 It held my interest from the 1st chapter and kept me on edge of my seat throughout the audiobook. The narrator, Pam Dougherty did a great job narrating this story too. I loved the southern accents she gave the characters. Pam added all the excitement & laughs in all the right places. Cute cozy, fun characters and a good story line. I will look for more books from this author. Greatest story I have read! This story made me laugh and made me cry more than once. The characters are realistic and the story is (unfortunately) also more common and real to today's society. I hope this story helps parents to deal with teenage pregnancy and support their children. Understanding that they are not the first to go through this problem and they will not be the last. Support your children and educate them and best of all LOVE THEM. Would you consider the audio edition of Place Your Betts to be better than the print version? I loved the cadence of the narrators voice. Although I love to read and have a book in my hand, I loved listening to the twange and changes of the voice. It made it seem like I was there and apart of the story. Pam's voice invites you in and makes you love the characters. What other book might you compare Place Your Betts to and why? It's been a while since I've read a book about these life issues so I really don't have a book to compare it to but it's a book/audio I would recommend. What does Pam Dougherty bring to the story that you wouldn’t experience if you just read the book? The sound effects and twang are a rare treat brought by Pam. It's a rare occasion to hear these and have them sound like they were meant to be there. For example, if Pam reads that Kat hiccuped...she wouldn't just read it, she'd hiccup. If you could rename Place Your Betts, what would you call it? I think it's a perfect name for the book. Anything that comes to mind to summarize the story sounds trite or too mushy. Place Your Betts sounds catchy and makes you want to read the back for a description. This is a light book with some good things to remember in day to day life. Took a chapter to get into but then the story line kept you interested and laughing at times. I gave 4 stars for the category its in. It is not a Nicholis Sparks book. Did Pam Dougherty do a good job differentiating all the characters? How? What did you love best about Place Your Betts? Tough call! I adored several of the characters and I enjoyed the tone of the writing. The humor balanced the heartbreak in the strong plot. Honestly, I just liked the whole thing. Mama Sheree!!!!! Hands down. She totally worked this character who was so quirky, colorful, and down to earth all in the same time. The book captured me with it's simple style, humor, heartbreak, and second chances. Love the idea of a series about three best friends each finding love in their own ways. What made the experience of listening to Place Your Betts the most enjoyable? This was a great book. Made you laugh and cry. Little long but well worth it. This is the first book I have listened to by this writer and I will definitely be downloading more. Country music star h, who was dumped when she was 16, alone and pregnant, finds that the child she gave up for adoption is actually being raised by her ex, the biological father. She is wealthy and successful, but never stopped longing for the child she was forced to give up. Her ex meanwhile, had seen his family fortune destroyed, and was struggling to keep his family farm afloat, while raising his teenage son. This is a second chance romance for a couple who were torn apart by misunderstandings and the manipulation of their families. It features many wondering side characters, including the wildly unconventional mother of the h, who frequently embarrasses her with her antics but still manages to be loving, supportive and protective. The book also has a secondary romance, that of the teenage son and his tentative first steps into the world of dating. I particularly loved the cringe worthy depiction of his first date, which includes a gloriously uncomfortable first meeting with the parents that will take most listeners back to their own memories of angst filled teenage years. Nothing about this book was as it first appeared. The successful music star felt rootless and longed for home and stability. The single dad was hiding his financial struggles from his son, while desperately trying to keep the family business going. The unbending, cruel grandmother who forced the adoption on the young h, was haunted by the music career that she had never had, due to her own teenage pregnancy. The romance in this book was mature and realistic. While acknowledging their physical attraction, both H and h had past issues that made them both reluctant to consider anything serious. These past misconceptions were gradually cleared up throughout the developing romance. I have to admit the book did drag a bit in the second half, it was like the writer had concluded the main romance and then realised she needed to fill a few more chapters, so the focus shifts to the romance of the son and his new girlfriend. However overall this is a good book with several “laugh out loud” moments and a very likeable couple. I did like the way in which the disparity in their wealth was dealt with. The H had his pride, naturally, and worked hard to keep his farm and family afloat, but once their relationship was acknowledged to be a permanent one, I am glad the writer did not revert to a pointless “my pride will not let me accept money from a woman” sort of scenario. The money issue was dealt with sensibly and logically and not allowed to spoil the romance. Great book, worth reading and highly recommended. I did this wrong in that I listened to Getting Lucky the second story in this series first, however as every story stands on it,s own with only slight character overlap it in no way spoilt this book. 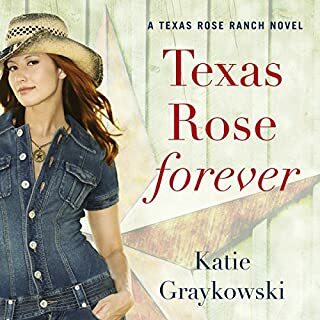 I cried listening to this book which only goes to show just how good an author Katie Graykowski is and what a fabulous narrator Pam Dougherty is.